We love our tapas, and probably and remain a bit disappointed that the term is becoming a diluted with the use for anything small. Small plates does not equal tapas. Tapas are these marvelous plated dishes from Spain, and are basically snacks and small meals. Since dinner can be served as late as midnight in Spain, you might find yourself bar hopping and sampling a few items from an array of tapas the bar has on hand that evening. Most likely you will be served several styles of olives, breads, a bit of slow cooked beef, battered squid, sausages or a tortilla de patatas. The more you drink the better the tapas become. We do have lovely tapas in Dallas, and very much with traditional recipes. Not free mind you. but delicious none the less. This week we checked into Si Tapas. 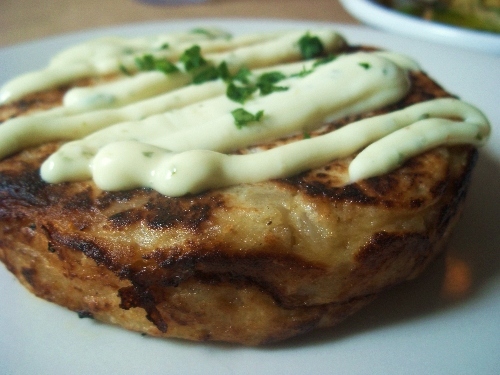 One of pur favorites is the RTortilla Espanola. The tortilla can actually come in several varieties; the most common is basically a frittata with potatoes. However, the tortillas could be made with vegetables or chorizo. The latter would be called a tortilla paisana. Another fantastic tapas dish is the polbo á feira which is cooked octopus in olive oil, served with a smattering of paprika for good measure. Other favorites include grilled octopus and veal sweetbreads. We also adore the quail and the sauteed Brussels sprouts. 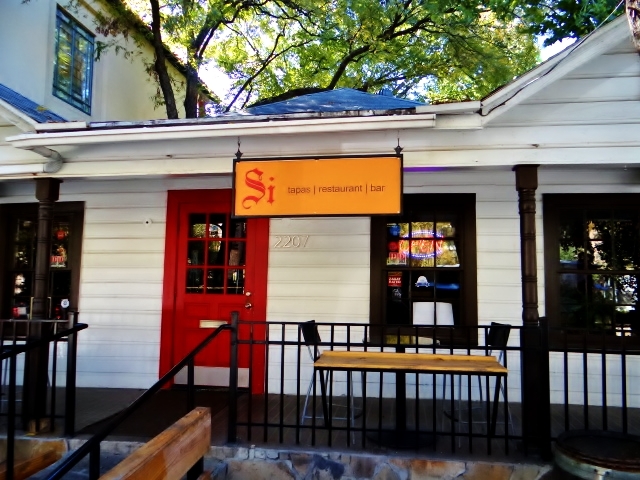 Si Tapas is very close to State and Allen near Uptown. Walking through the restaurant you are magically transported to Spain, or at least feel like you have. No passport required. The menu is quite extensive, and they have a terrific Spanish wine list as well as sangrias. They no longer maintain their website, so we will have to help them out a bit here. Check out the restaurant at 2207 Allen near Uptown Dallas. Call them at 214.720.0324. Tell them to get their social media act together, but enjoy their delicious food and wine.